Why Have Maori Leaders Got It Right? As a chastened Prime Minister looks back over the last six months and registers the decline in his own standing and that of his government, his record over that period leaves a number of unanswered but increasingly pressing questions. It is clear enough, of course, that the Epsom cup of tea last November seemed to usher in a series of errors and misjudgements, large and small, of the kind that can of course afflict any government from time to time. What is surprising, however, is the Prime Minister’s uncertain handling of some of those issues, so that the tribulations of ACC, for example, seem to have caused more damage to the government than should have been necessary. The John Key of the first term would have handled such problems with a smile and an easy charm that would have disarmed most critics. But the going in his second term has been much tougher; we have seen a much more petulant and irritable Prime Minister who has sometimes compounded difficulties rather than smoothing them away. The Prime Minister was nevertheless back to more familiar form in his reaction to the debacle over larger class sizes. He lost little time in recognising that the game was up, and he did not hesitate to show the steel behind the smile when he sacrificed his Education Minister to the public clamour. 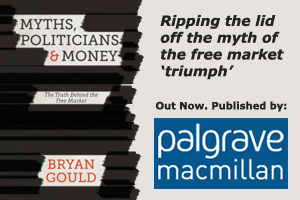 The Prime Minister may say that governments cannot govern effectively if they change course in response to every shift and eddy in public opinion. Like his predecessors, though, he has been good in the past at recognising the point when the political damage of proceeding with an unpopular policy outweighs any downside of changing course. Which all raises the intriguing question – if John Key is ready to bail out in the face of parental opposition to larger class sizes, why is he so determined not to budge on the question of the sale of public assets? Opposition to asset sales, after all, has been sustained over a long period and by a wide range of public opinion. All the polls show that this is the issue on which unhappiness with the government has been most clearly expressed. As the government’s popularity has begun to slip, surely this is the issue which has caused them most damage? Yet the Prime Minister has at times seemed almost to revel in defying public opinion over this issue. It has become, so it seems, the touchstone by which his government is to be judged. So, why is he willing to take such risks over asset sales when he has been prepared to ditch other policies so readily? The answer is instructive. Larger class sizes would have saved $43 million; selling off public assets, though, will raise – according to whichever of Bill English’s “guesses” is the current favourite – around $6 billion. Even if the “guess” proves – as is likely – to be a substantial over-estimate, a sum of anything like this magnitude cannot be passed up. It is essential to the whole of the government’s strategy. Without it, there would be a huge hole in the government’s finances, and any chance of eliminating the deficit by 2014-15 would have gone. Whatever other arguments are pressed into service, the truth is that the sales are needed if John Key’s strategy is to retain any credibility in financial terms. But credibility is exactly what the strategy is lacking. The government’s whole reputation for sound financial management rests on doing something that every ordinary householder will recognise as bad practice – selling off an income-producing asset in order to consume the proceeds. John Key is forced to nail his colours to this shaky mast because the failure of an economy still mired in recession to generate more buoyant tax revenues means that the government’s deficit has remained stubbornly high. The government’s commitment to public asset sales, in other words, is driven by the need to raise the money to offset the government’s failure to get the economy moving again. But there are also reasons other than the specifically financial for resisting the sale of our national assets to what will inevitably be overseas owners. Those reasons relate to the degree of control we exercise over our own destiny. We have already sold a greater proportion of our assets to overseas owners than any other advanced country; every time we sell another important national asset to overseas owners, we lose a little more control over our own future. And that gives rise to the second major question about asset sales. Iwi have been clear that, if the sales are to proceed, they will be keen to buy. But it is their stated reasons for doing so that deserve attention. Iwi leaders have made it clear that their intention to buy is so that they can hold the assets in trust for future generations of Maori. There can hardly be a starker contrast with the attitude of John Key’s government, who – it seems – could not care less about future generations. So, the crucial question is, why are Maori so much better served by their leaders in this matter than the rest of us are by our own government? This article was published in the NZ Herald on 20 June. Next: Was It All A Mistake?